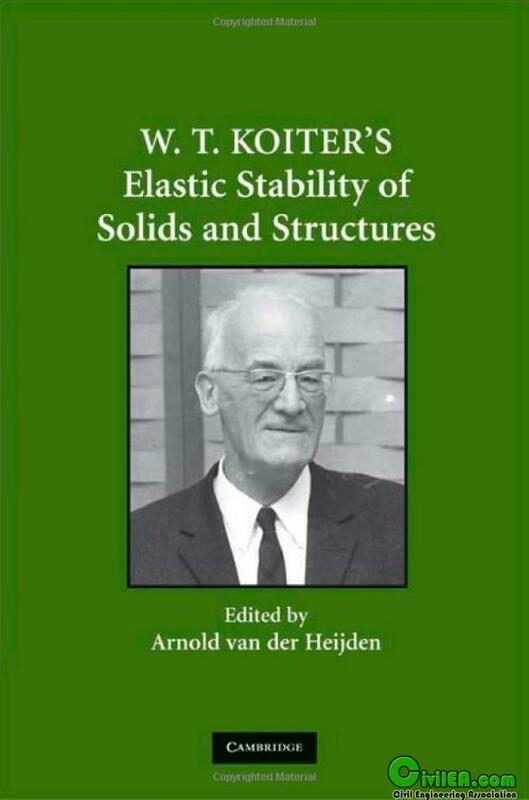 This book deals with the elastic stability of solids and structures, on which Warner Koiter was the world's leading expert. It begins with fundamental aspects of stability, relating the basic notions of dynamic stability to more traditional quasi-static approaches. The book is concerned not only with buckling, or linear instability, but most importantly with nonlinear post-buckling behavior and imperfection-sensitivity. After laying out the general theory, Koiter applies the theory to a number of applications, with a chapter devoted to each. These include a variety of beam, plate, and shell structural problems and some basic continuum elasticity problems. Koiter's classic results on the nonlinear buckling and imperfection-sensitivity of cylindrical and spherical shells are included. The treatments of both the fundamental aspects and the applications are completely self-contained. This book was recorded as a detailed set of notes by Arnold van der Heijden from W. T. Koiter's last set of lectures on stability theory, at TU Delft. Yesterday is history, tomorrow is a Mystery, and today is a gift that is why it called the present.